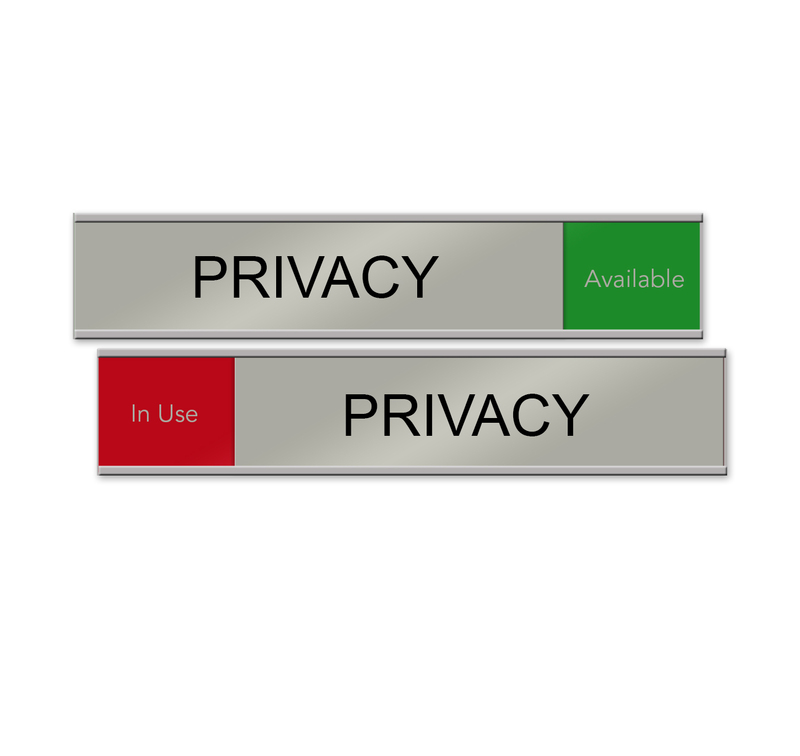 Signs that slide to reveal the status of a private room or office space. Conference rooms, meeting rooms, custom slider signs and more. 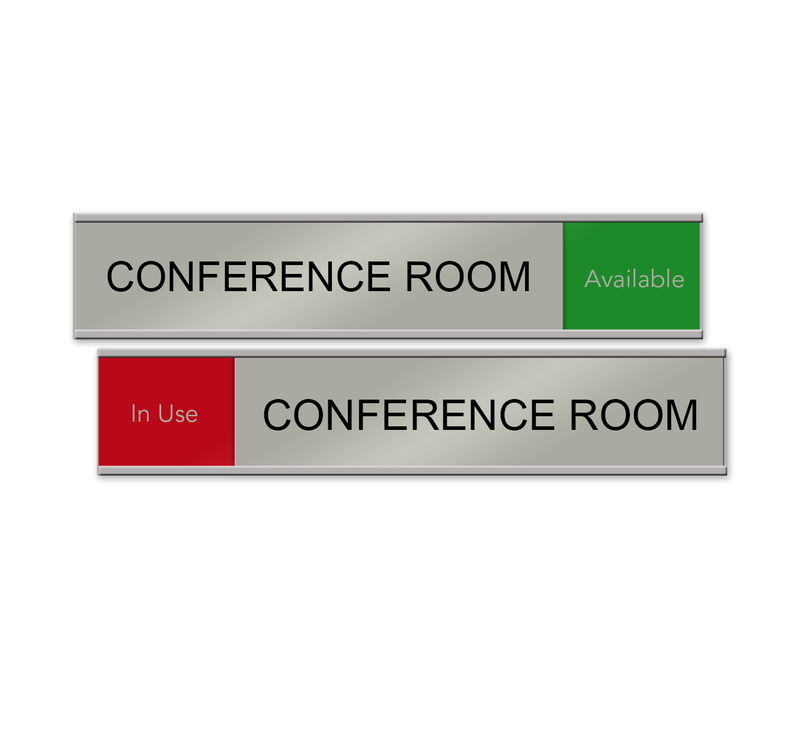 Durable, metal sliding signs for conference rooms. “Available” or “In Use” signs in many styles. 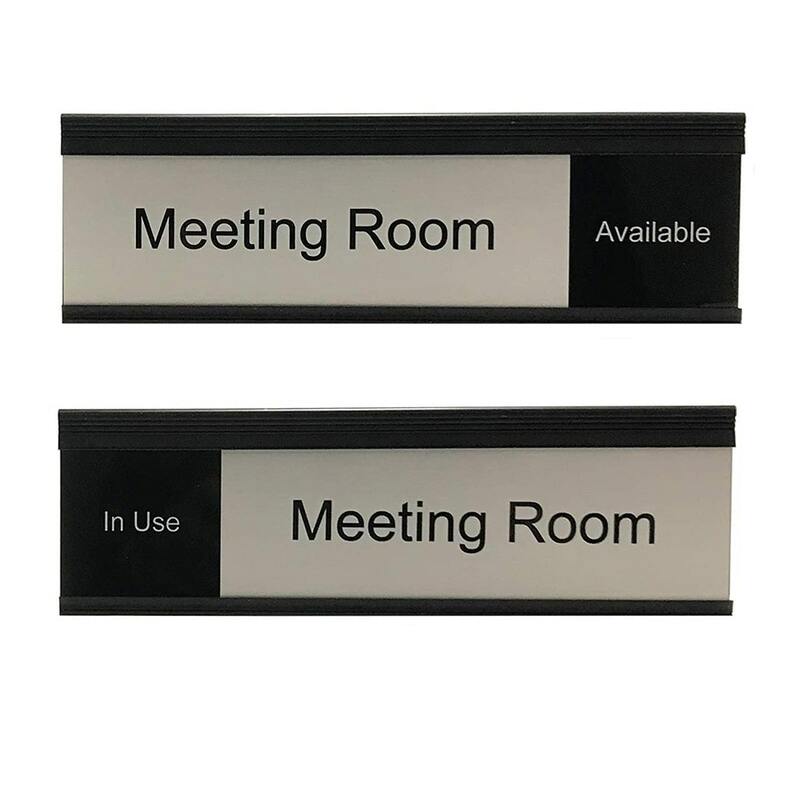 Durable, metal sliding signs for meeting rooms. So many choices! Slider signs for exams rooms, nursing rooms and much more! All types of durable metal sliding signs. 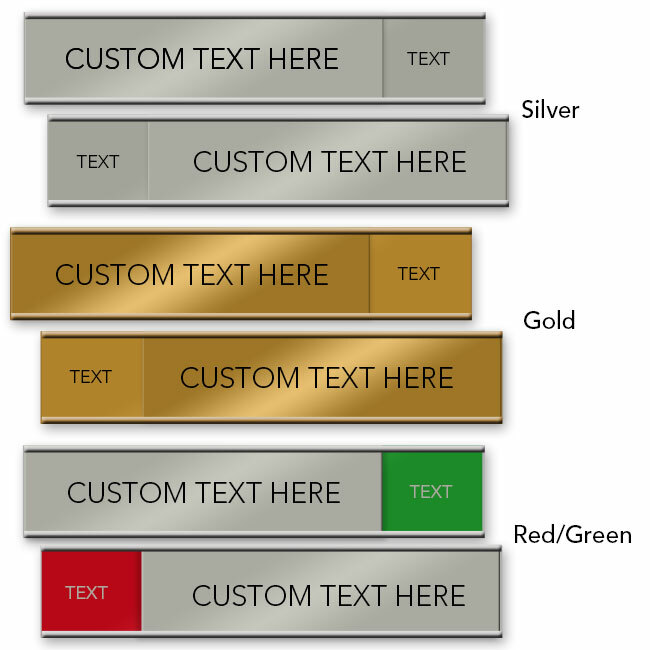 Custom Name Plate Design with Slider Sign.